Sterling Silver Halo Style Solitaire Engagement ring. 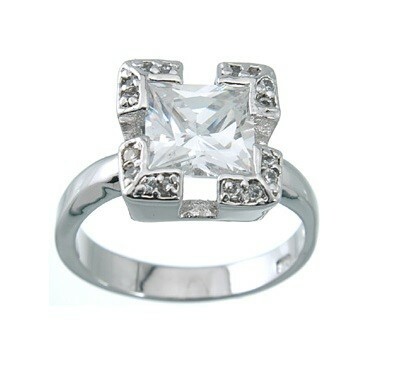 2.50cttw CARAT PRINCESS CUT RUSSIAN CZ. with several Round brilliant CZ accent stones in a Halo style. This item is SOLD OUT and will no longer be available.